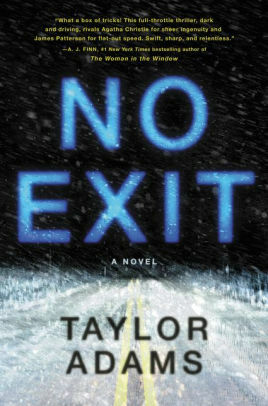 The snow is falling hard and the surprises keep coming in Taylor Adams’ page-turner No Exit (HarperCollins, digital galley). A fierce blizzard causes college student Darby Thorne to pull over at a remote rest stop in the Colorado mountains. Stranded with four strangers, she ventures outside to get a cell signal but instead discovers a kidnapped child hidden in the van parked next to her. Who among her fellow travelers has locked the little girl in a dog crate? What Darby does in the next few hours will determine all their lives. Gripping and cinematic, Adam’s tale is destined for the movies, but why wait when you can read it now. 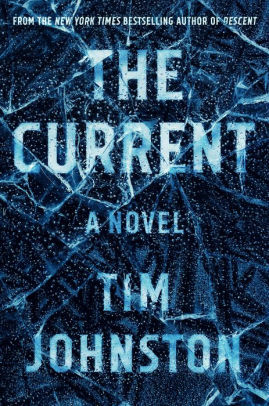 There’s snow and ice and a car plunging into a dark river in The Current (Algonquin, review copy), Tim Johnston’s riveting second novel after the very good The Descent. It’s the dead of a Minnesota winter when state troopers recover an SUV and two young women from the Black Root River. Audrey Sutter is half-frozen but alive; her friend Caroline has drowned. With echoes of a similar incident in which a young woman drowned in the same river a decade ago, this new tragedy is no accident. Audrey discovers the townspeople she thought she knew — the father of the first dead girl, a suspect who was a teenager at the time, her father the former sheriff — are harboring secrets and regrets. The plot is layered, Johnston’s writing evocative. The Current carries you along inexorably, the way good stories do. 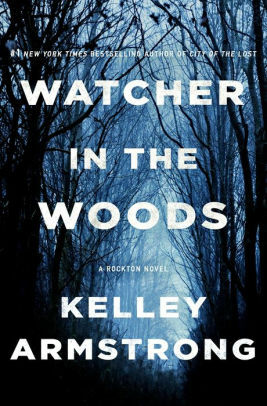 Watcher in the Woods (St. Martin’s Press, digital galley), like other entries in Kelley Armstrong’s Casey Duncan series, is set in the isolated community of Rockton in the wilds of the Canadian Yukon. But don’t look for it on any map. It’s a safe haven for both criminals and victims, who pay a corporation big bucks to stay off the grid. Casey is the town’s detective, and her boyfriend Eric Dalton is the sheriff. When a U.S. Marshal shows up looking for a resident and is subsequently shot, the two have to figure out not only the murder but also how the marshal found Rockton in the first place. Could be it has something to do with Casey’s estranged sister, April, secretly flown in to assist on a medical case. Atmospheric, tightly plotted and smartly paced, the book delves more deeply into Rockton’s mysterious past. There’s more than one watcher in the woods. 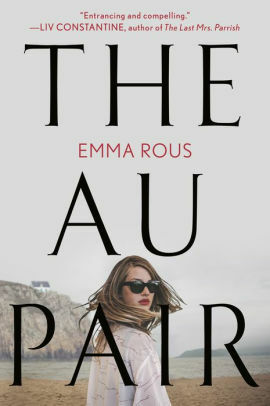 Seraphine Mayes has long wondered why she looks different from her twin brother Danny and their older brother Edwin, and looks for answers in Emma Rous’ twisty The Au Pair (Penguin Berkley, digital galley). An old photo of her mother, who fell to her death from the Norfolk cliffs shortly after Seraphine and Danny were born, shows her mother holding a single newborn. The picture was taken by Edwin’s young au pair at the time, Lauren Silviera. As Seraphine searches for Lauren in the present, the narrative alternates with Lauren’s story in the past. Threatening notes, secret lovers, family quarrels and village gossip of changelings contribute to the murky puzzle. You’ll have to decide if the solution — given the outlandish premise — makes sense. 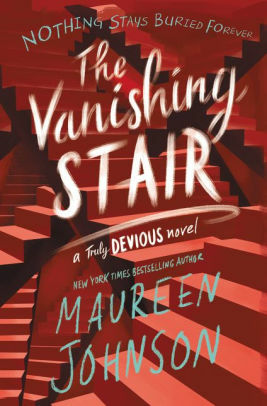 Maureen Johnson is at her most devious in The Vanishing Stair (HarperCollins, library hardcover), the second in her wickedly entertaining Truly Devious series. In the first book, readers met Stevie, an Ellingham Academy student obsessed by the unsolved murder and kidnapping case at Ellingham in 1936. Stevie thought she was making progress, but then one of her classmates died and another disappeared, and Stevie’s parents yanked her out of the alternative boarding school. She’s totally miserable as the second book begins, but then hated politician Edward King pulls some strings and Stevie’s back at Ellingham. Her story alternates with that of two students from the 1936 Ellingham class, who fancy themselves as a stylish crime couple like Bonnie and Clyde. What do “Frankie and Eddie” have to do with the Truly Devious case? Secret tunnels, hidden doorways and peculiar riddles abound as Stevie works with an eccentric true crime writer and tries to figure out her relationship with classmate David, Edward King’s son. It’s all great fun and nail-biting suspense right up to the very last page — and another cliffhanger ending. Maureen Johnson, you’re killing me!